Forty-five minutes of action packed fun with parent and child. Classes work gross and fine motor skills as well as help the student learn how to operate in a class environment. Students will work on floor skills, bars, beam, vault, and trampoline. Students participate in a beginning and ending activity with each class. Classes are developmental. Parents will graduate from class when students are able to function alone. Classes are fifty-five minutes in length and include a beginning and ending activity and three rotations per class. This is a big kid class (without parent). Students will work on all events (vault, bars, beam, floor, trampoline, and mini tramp). Students may be grouped by ability within the class. Our level system for progression is used and students will receive ribbons throughout the year. Classes are fifty-five minutes in length and include a warm up and ending activity as well as three rotations per class. Students will work on all events as well as trampoline and tumble tramp. Students will also work on gross and fine motor skills. Students may be grouped by ability within the class. Our level system for progression is used and students will receive ribbons throughout the year. Students may sign up for one or more classes. Discounts apply for multiple classes. Classes work on tumbling and trampoline only. Classes will work on both events during every class. This class will help improve or maintain skills for cheerleading or just improve strength and coordination. Students may attend more than one class per week. If your child is involved in other sports, this is the class to compliment any other sport. 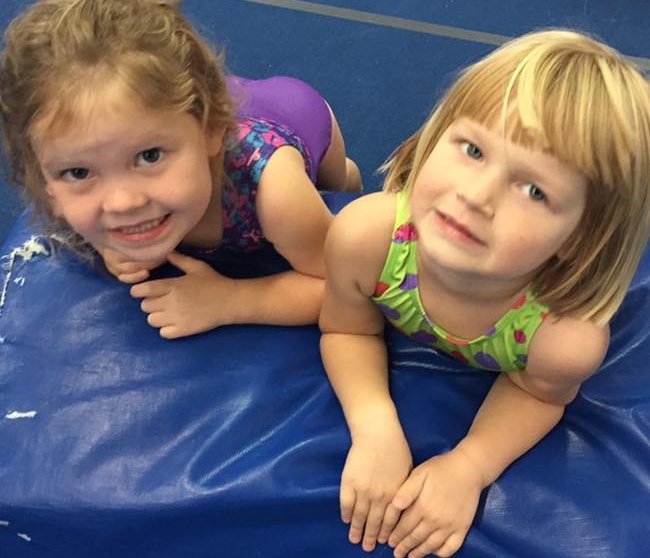 This class runs drills, games, and challenges to build speed, agility, strength, and skills for gymnastics and other sports.